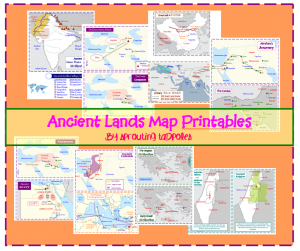 Sprouting Tadpoles has an excellent resource for those of us studying the Ancients: a free printable set of Ancient Lands Maps! This free map resource can be tailored to fit any history/geography curriculum and can be used with a variety of ages. Ideas for use are included in the post!